Split is the 2nd biggest city in Croatia and one of the best places to experience the Dalmatian life. Set in a unique place surrounded by the coastal mountains and the turquoise water of the Adriatic, Split is a perfect holiday destination. 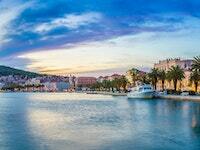 Split is always buzzing and remains to be the most vibrant cities in Croatia. With both modernity and tradition blending together in the right balance, there is so much to experience in this exuberant city. Top attractions include palaces, fortresses, ruins, museums, and churches. Amid the old walls of Split are numerous bars and restaurants which have thrived for thousands of years. Roman Emperor Diocletian chose this beautiful site overlooking the Adriatic to build his retirement complex in305 AD. At present, it is a celebrated UNESCO World Heritage site. The palace shelters Split old town with four monumental gates. Buildings inside the place are made of the Gothic and Renaissance style. Key attractions within the pale are the street through the palace, the center of the palace and the cellar one of the filming site of the celebrated Game of Thrones movie. Diocletian palace remains to be one of the most impressive monuments in the world. 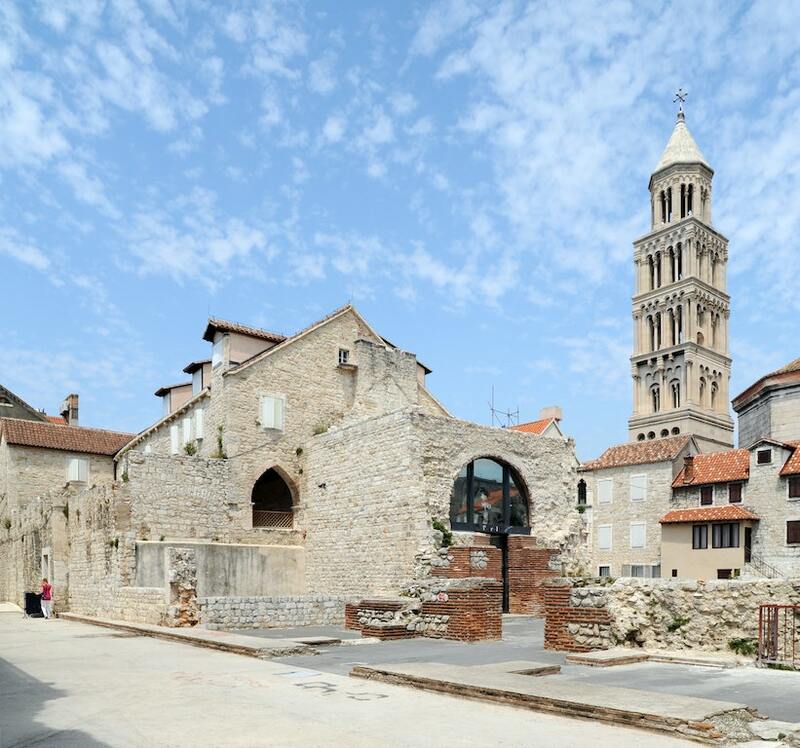 Explore the oldest Catholic cathedral in the world that is situated within Diocletian Palace. It was completed in the 7th century AD featuring a mixture of Roman temple and Catholic Church. The Cathedral has a beautiful bell tower where tourists climb for panoramic views of the Split city. Marjan is a hill situated on the western side of the old town. It has a protected nature park where tourists go for walks, hiking, bike rides and jogging. This is a natural stress relief place with great sea views. Reaching the peak will give you astonishing views of the Split town. This is a beautiful ancient fortress that sits on a hillside overlooking Split. It is the place where numerous battles happened and the ruins of the fortress offer panoramic views of the Split town and the Dalmatian coast. A tour in a coastal town is incomplete without visiting the beach. Bacvice beach is a town beach in Split that has warm clear sparkling sea waters where you can enjoy a swim before breakfast. Enjoy the tranquil views of the surrounding mountains. Visit the oldest museum in Croatia the Archeological museum in Split that was constructed in 1820. For those who love wine, you can taste Croatian's wines at Putalj winery. Don't miss out to sample Croatian dishes at the numerous restaurants in Split. With many more activities and places to explore in Split, be ready for a fantastic vacation in Croatia. Sea kayaking and snorkeling is a fun way to explore Split town from the sea. Visitors can rent bikes to explore all that Split has to offer. Shop at the beautiful Split's green market Pazar. There are plenty of fruits, vegetable, and clothing. Saturday morning is the best time to visit the marketplace. The old town of Split has plenty of fast food joints with fresh seafood.